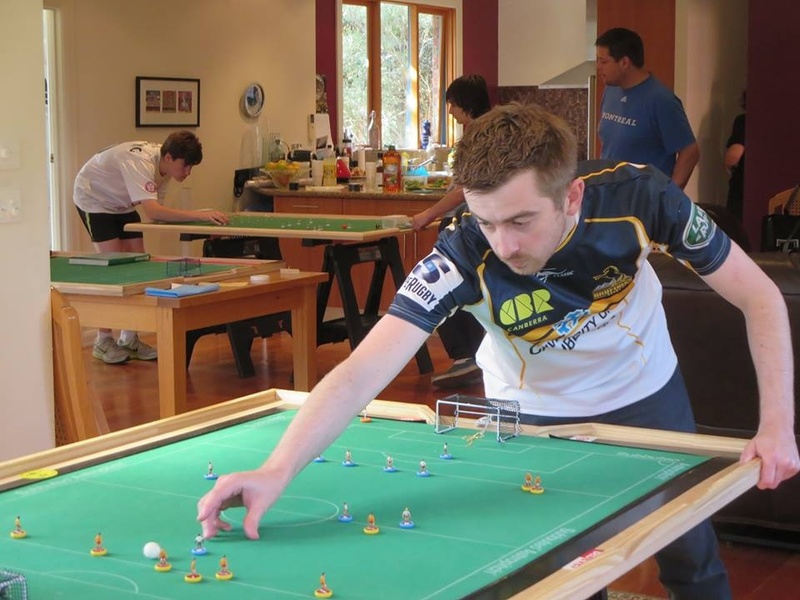 The Subbuteo Melbourne Anniversary tournament was held on the 13th of April 2014- Exactly 1 year after the clubs formation. A hotly contested group stage saw seeded players Carl Young and Peter Thomas finish on top of their respective groups with Benji Batten and David Simpson (who had both scored against their respective table toppers) also qualifying for the semi-finals. After the group stage, the competition split in two with Alex Stefanos, Dillon Izon and Peter Lipsett competing in a tight group for 5th Place. There were no surprises in the semi-finals and so two of Australia’s top players; Carl and Peter would meet in the final. This entry was posted in News, Tournament reports on 18/04/2014 by Peter.